Now that the weather is gorgeous again, I love taking long strolls around our neighborhood and listening to my favorite tunes! So of course, my iPod Touch is traveling right along with me in my front pocket. I've noticed that over the last few months I've grown much more dependent on my iPod and tend to take it with me everywhere, including the car, my purse, front pocket, etc. All of this new-found traveling has me worried about damaging my iPod's delicate touchscreen, though. I have a sturdy case for the iPod itself, but the screen is still left completely exposed. What is going to keep it from getting scratched or cracked? Thankfully, I had the chance to review the 3M Natural View Screen Protector. Keep reading to find out whether or not it worked! 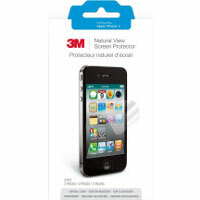 I reviewed the Natural View Screen Protector for the Apple iPod Touch 4G from 3M, which retails for $14.95 with FREE SHIPPING. I've never had a screen protector for my iPod before, but I do have one for my T-Mobile Wing cell phone. Unfortunately, it is quite bothersome because the edges of this screen protector are filthy. No matter how hard I try, the edges always seem to peel up just a little bit, which traps dirt, hair and makeup underneath. YUCK! Although this screen protector has kept my cell phone's screen from becoming scratched, there are so many bubbles caught underneath which just won't smooth out along with the filthy edges, that I've contemplated taking it off and risking the damage anyway. The 3M Natural View Screen Protector was intriguing to me for it guarantees to provide a crystal clear image as well as long-lasting protection for your device's screen. 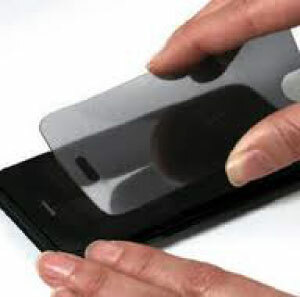 It is also smudge and scratch-resistant and is easy to take on and off. What really lured me in was the claim that this screen protector has stay-clean edges, thanks in part to an innovative 3M coating. I instantly whipped out my iPod and applied the new 3M screen protector to see for myself. It really was extremely easy to apply and because I didn't have the screen protector centered on my device just right, I did have to take it off temporarily to try again. I found that the Natural View Screen Protector came right off and didn't leave behind any sticky residue. I guess the thing that has thrilled me the most about the 3M Natural View Screen Protector is just how clean the edges of it have stayed. No more dirt and grime buildup, which is unsanitary and unsightly. If you have a handheld device which goes everywhere you do, then I highly recommend the 3M screen protector to help keep your device looking as good as new. 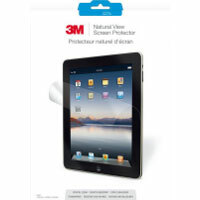 Want to see whether or not 3M makes a compatible Natural View Screen Protector for your specific device? Just click here! What tools or tricks do you have for keeping your cell phones or mp3 players in good shape, even with heavy use? Disclosure: I wrote this review while participating in a blog tour by Mom Central Consulting on behalf of 3M and received a Natural View Screen Protector to facilitate my review and a gift certificate to thank me for taking the time to participate.